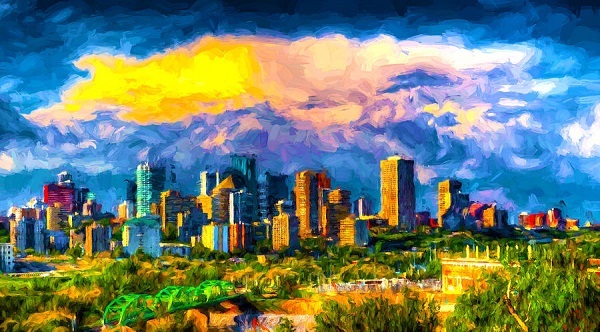 Edmonton skyline painting by Theo Westlake. — The University of Alberta, considered a bedrock of Reinforcement Learning (RL) thanks to pioneering work done by Prof. Richard Sutton. The Royal Bank of Canada’s RBC Research arm announced in early 2017 it would hire Prof. Sutton to advise on a new research lab opening in Alberta to research the application of AI in banking. — Amii (Alberta Machine Intelligence Institute), a research group set up by Prof. Sutton, has continued to attract top students from around the world. — Borealis AI is a research center funded by RBC and aligned with U Alberta and Amii, aimed at technology transfer from AI research to commercial business opportunities. Prof. Mathew Taylor, a RL expert from Washington State University, leads research at Borealis and currently has 15 researchers focused on solving RL problems. — ACAMP (Alberta Center for Advanced Micro Nano Technology), is an industry-led product development center founded in 2007 and used by advanced technology entrepreneurs to move their innovation from proof-of-concept to manufactured product. The center provides entrepreneurs access to multidisciplinary engineers, technology experts, unique specialized equipment, and industry expertise. Located in Edmonton’s Research Park, ACAMP has a focus on electronics hardware, firmware, sensors, and embedded systems. The center’s product development group provides a range of support at each stage of the product development process. The firm cites client testimonials from Xtel International, Ltd., Symroc, Nanolog Audio, the University of Dayton, Medella Health and Hifi Engineering. Dr. Sutton is recognized for his work in reinforcement learning, an area of machine learning that focuses on making predictions without historical data or explicit examples. Reinforcement learning techniques have been shown to be powerful in determining ideal behaviors in complex environments. For example, the techniques were used to secure a first-ever victory over a human world champion in the game of Go, as have been used in recent applications in robotics and self-driving cars. The advances of Dr Sutton have been pivotal to the advance of AI generally and in Edmonton in particular. “Dr. Sutton’s group has turned out more PhDs in AI than any other group in Canada,” Abbott said. Keeping that talent in Canada has been the focus of Startup Edmonton, funded by the Edmonton Economic Development Corp., since its founding in 2009. The group supports entrepreneurs with mentorship programs, coworking space and community events, bringing together developers, students, founders and investors. The effort has helped to some degree to stem the brain drain of AI talent from Canada. “I don’t think it’s completely stopped but it has slowed down,” said Tiffany Linke-Boyko, CEO of Startup Edmonton, in an interview with AI Trends. A more favorable cost of living in Edmonton also helps. “The expense of living in some of the US high tech cities is insane,” she said. She called the effort to raise awareness of Edmonton as a good location to build new AI companies as off to a good start and early stage. “We still need more companies; it’s a young ecosystem with interesting momentum,” she said. Edmonton got a boost with the announcement in July 2017 that DeepMind would open its first international AI research lab in downtown Edmonton. 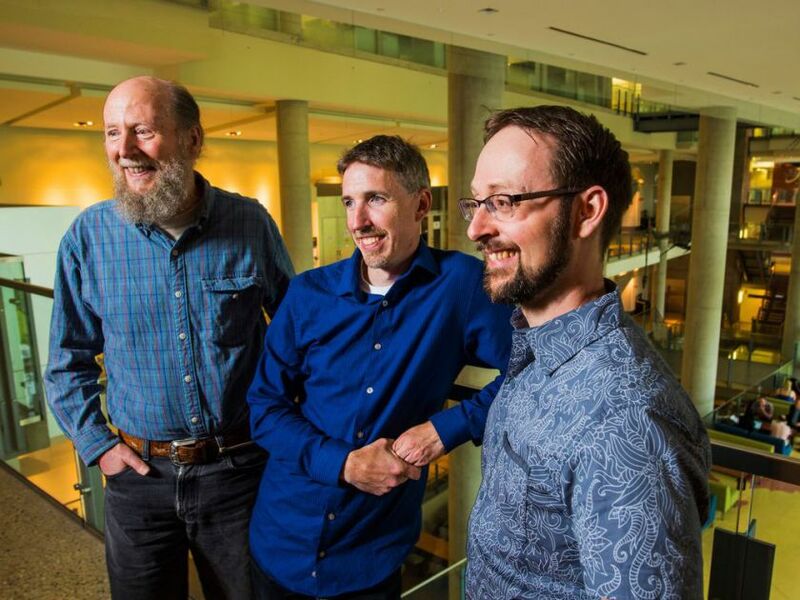 The 10-person lab, to operate in partnership with the University of Alberta, will be headed by three University of Alberta PhDs: Richard Sutton, Michael Bowling and Patrick Pilarski. 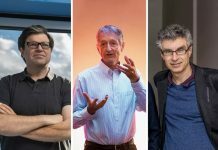 From left, Dr. Rich Sutton, Dr. Michael Bowling and Dr. Patrick Plarski, all professors of AI at the University of Alberta, will run the Edmonton research lab of DeepMind, an AI research division of Google. Bowling is a leading expert on AI and games. He and his team created computer programs that beat champion human poker players. Pilarski, an engineer, specializes in adapting AI to medical uses, from helping to create intelligent prosthetic limbs to reading and screening medical tests. DeepMind of London wanted them, but the three didn’t want to leave Edmonton to move to London. So DeepMind decided to come to them. Over the last 15 years, the Alberta government has invested $40 million in AI and machine learning research, mostly at the U of Alberta. That steady funding lured Sutton and Bowling to Edmonton initially. DeepMind in January announced funding for an endowed chair at the University of Alberta’s department of computer science. 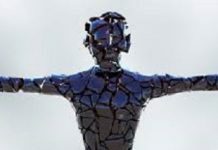 The person who fills the position will be given academic freedom to explore any interest that could advance the field of AI. “The DeepMind endowed chair, together with additional funding to support AI research at the department of computing science, is a sign of our continued commitment to this cause, and we look forward to the research breakthroughs this deep collaboration will bring,” stated Demis Hassabis, founder and CEO of DeepMind, in a press release. Here is a look at selected Edmonton-area startups that incorporate AI in their products or services. Testfire Labs, founded in 2017, is a startup that uses machine learning and artificial intelligence to build productivity solutions that modernize the way people work. Testfire’s flagship product, Hendrix.ai, is an AI assistant that captures meeting notes, action items and data points by listening via a microphone. Currently in its beta test phase, Hendrix is said to produce meeting summaries that leave out “chit chat” for clarity. Testfire has had three rounds of funding, with the amount raised undisclosed, according to Crunchbase. Stream combines the power of spectroscopy and AI machine learning to make detection quick and easy. Test results normally received from a lab or from those with a certain level of expertise are now identified in near and real time. Within the agriculture sector, customer may want to identify anything from an invasive species to a disease, to a nutrient deficiency or levels of oil in plants, seeds and fertilizers. Stream uses a three-stage system of capture, analyze and visualize to deliver its services. The capture is executed by a multispectral camera or spectrometer; that data is fed into the Stream Analytics Engine, which creates an application to analyze the spectral data; in the visualization stage, the data is ready in minutes, either colored images or levels of the detected element. The Analytics Engine combined machine learning techniques and neural net design specifically to show the test results from spectral images and spectrometer scans. One example is the ability to detect the difference between organic and polyethylene leaves. After the analysis, the polyethylene leaves are colored red and the organic leaves are colored blue. Learn more at Stream Technologies. DrugBank is a curated pharmaceutical knowledge base for precision medicine, electronic health records and drug development. 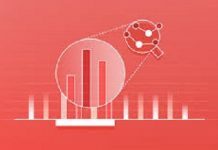 “Our mission is to enable advanced in precision medicine and drug discovery,” said co-founder and CEO Mike Wilson of OMx Personal Health Analytics, Inc., which operates DrugBank, in comments to AI Trends. 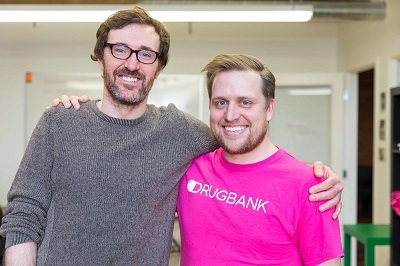 DrugBank founders Craig Knox, left, and Mike Wilson. DrugBank provides structured drug information that covers drugs from discovery stage to approval stage. 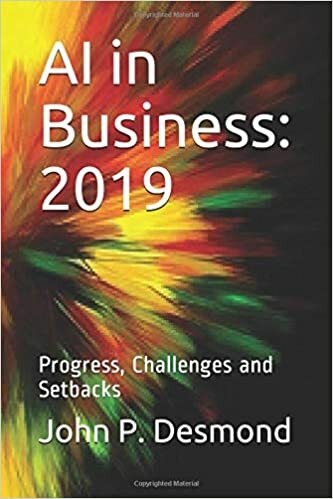 It includes comprehensive molecular information about drugs, their mechanisms, their interactions and their targets as well as detailed regulatory information including indications, marketing status and clinical trials. DrugBank has become one of the world’s most widely used reference drug resources. It is routinely used by the general public, educators, pharmacists, pharmacologists, the pharmaceutical industry and regulatory agencies. The first version of DrugBank was released in 2006. Version 5.1.1 was released in July 2018. The online database started as a project of computer science professor Dr. David Wishart of the U of Alberta. Undergraduate students Craig Knox and Mike Wilson helped develop the tool as undergraduates. The two later made a deal with the university to commercialize the database and set up shop at Startup Edmonton, which provides workspace and support for entrepreneurs. .
“The first weekend we released it, the servers crashed because there was so much traffic coming in,” stated co-founder Craig Knox in an account in Startup Edmonton. “It was quite popular and grew in its popularity over the years.” Over the next decade, DrugBank became ubiquitous in the pharma world, with millions of global users. “We sell subscriptions for our datasets and software for precision medicine, electronic health records, and drug development. We also provide datasets for academic researchers for free,” Wilson told AI Trends. Now DrugBank’s commercial clients include some of the largest pharmaceutical companies in the world, as well as mid-sized companies, a growing number of pharma startups, and companies providing scientific reference software. “The value for the users is saving time by finding the information in one place,” stated Wilson. Each month, a million users visit the site, making DrugBank the most popular drug database in the world. It has information on more than 20,000 individual drugs, including approved drugs, drugs in clinical trials and drug formulas that show potential. With pharma research advancing rapidly, the database must be continually updated with new information. 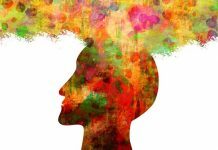 To do this, the company uses a team of nine ‘bio curators’ — representing pharmacy, medicine, biochemistry, and other fields — who comb the academic literature for new information to add to the resource daily. The founders spoke highly of the support they get from Startup Edmonton, which has helped them lay a foundation for a global, scalable technology product. They enjoy being located in the downtown facility with its network of entrepreneurs. “You learn from each other which is a really cool benefit,” stated Wilson.